Welcome to the next installment on my own personal take on the Dragon Age Timeline, taking us from the Divine Age through the Glory Age and then on to the Towers Age. But onward! Here we go. As always, let me know what's missing or wrong here, so I can fix it! 1:01 Divine - Justinia I elected as Divine. She takes up residence at Val Royeaux's Grand Cathedral, which is still in the process of being built. The Chantry declares that the use of magic is illegal throughout Orlais unless by mages on the Chantry's behalf. 1:05 Divine - The Second Blight begins. Awakening of Archdemon Zazikel in the Anderfels. Slaughter of the city of Hossberg. Emperor Drakon calls on mages to use their magic against the Blight, and their powers turn the tide of battle. The Tevinter Imperium abandons the Anderfels to the Blight, a decision the Anders people never forget. 1:10 Divine - The Chantry is officially founded. 1:16 Divine - Drakon wins a key victory against the darkspawn in the Battle of Cumberland. 1:20 Divine - Signing of the Nevarran Accord between the Chantry and the newly founded Inquisition. Formation of the Seekers of Truth by senior members of the Inquisition. Formation in Ferelden of The Circle of Magi and The Templar Order as its overseers. The first Circle is led by Grand Enchanter Lothaire Hardouin. 1:22-24 Divine - Ameridan departs on his mission to the Frostbacks. 1:25 Divine - Montsimmard is nearly destroyed by the darkspawn. Nearby elves take no action for rescue. Ameridan traps Hakkon in dragon-form and goes into stasis. 1:31 Divine - Darkspawn attack but do not take Minrathous. 1:33 Divine - Emperor Drakon relieves the siege of Weisshaupt and Grey Wardens convert to Chantry worship. 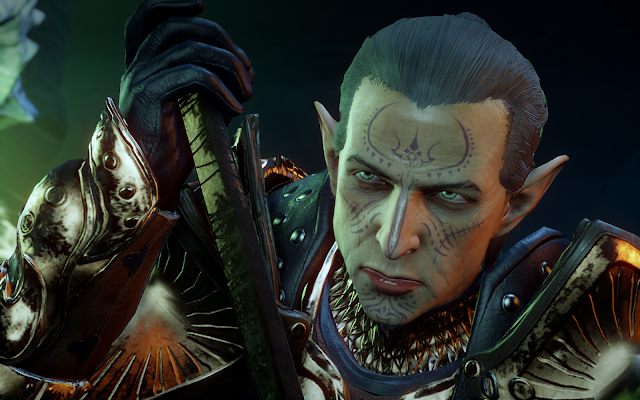 Together, both save the Anderfels from the Darkspawn, bringing it under the rule of Orlais. The Anderfels convert to the Chantry. Elves of the Dales continue to refrain from action against Blights. 1:40 Divine - Hafter, an Alamarri warrior, unites the tribes of Ferelden and defeats the darkspawn. 1:45 Divine - Death of Emperor Drakon of old age in Val Chevin. Drakon is succeeded by Kordillus II, his son. The teachings of Andraste and the Chantry come to Antiva, where they quickly become popular. 1:50 Divine - Hafter is proclaimed Teyrn after defeating both Chasind and Avvar to take the Fereldan valley. 1:65 Divine - The Anderfels declare their independence from Orlais. 1:79 Divine - Birth of future king of Nevarra Caspar Pentaghast. 1:95 Divine - Last battle of the Second Blight at Starkhaven. Destruction of Zazikel. Astyth the Grey becomes the first female Paragon of the Warrior caste after sacrificing her life for the King. Formation of the Silent Sisters order in her honor. 1:99 Divine - Divine Hortensia I names the Glory Age. 2:05 Glory - Tension increases between elves and humans on the borders of Orlais and the Dales. 2:09 Glory - Elven forces attack and hold Red Crossing in Orlais, reportedly committing atrocities against the humans there. Orlais declares war on the elves of the Dales. 2:10 Glory - Teyrn Caedmon, the grandson of Hafter, declares himself king in Alamarri lands, sparking a civil war. 2:10–20 Glory - The elves capture Montsimmard and march on Val Royeaux. In retribution, Divine Renata I calls for a holy war against the elves, which becomes known as the Exalted March of the Dales. 2:14 Glory - The elves sack Val Royeaux. 2:15 Glory - The rise of Starkhaven. Starkhaven's king, Fyruss, allies with Tevinter and attempts to conquer neighboring regions to create an empire of his own. 2:18 Glory - Caedmon is killed at the Battle of Valmorn Hills. The power struggles during this period become known as the War of Crowns. 2:20 Glory - The elves are overwhelmingly defeated, Halamshiral is conquered, and the Dales fall under Orlesian rule. Elven settlements are wiped out, worship of elven gods is forbidden, and the elves themselves are forced to live in human cities in ghettoes known as alienages (established under Divine Renata I), or to wander the countryside as nomads. 2:21 Glory - Sister Amity, a human Champion of the Exalted Marches, lays the foundation stones of a village Chantry. 2:30 Glory - Halamshiral's Winter Palace becomes the regular choice for retreats by the empress and Orlesian nobility. 2:33 Glory - Antivan cities to the north unite under a common banner to defend themselves against Fyruss's advance. 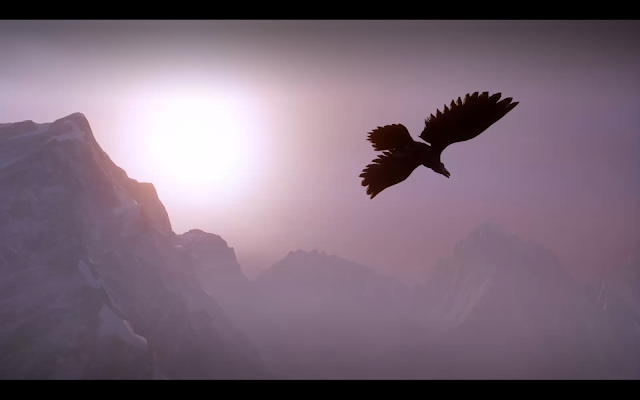 2:34 Glory - The fortress of Soldier's Peak is completed after a decade of construction. 2:45 Glory - Fyruss is betrayed by Tevinter, and Starkhaven is conquered and annexed by the Imperium. 2:46 Glory - Caspar Pentaghast of Hunter Fell takes over city-state Nevarra to become its ruler. 2:64 Glory - Death of Sister Amity. Her ashes are interred in the Chantry's vault. 2:80 Glory - A second Exalted March is declared, and Starkhaven is freed from Tevinter rule by the Chantry. 2:83 Glory - An abomination rises in the Nevarran Circle, slaughtering both mages and Templars, and then wreaking havoc in the surrounding countryside. As a result, Divine Galatea grants the Right of Annulment to all Chantry Grand Clerics, allowing them the power to purge Circles of Magi and execute all mages within. 2:84 Glory - The Nevarran abomination is killed by Galatea's Templars. 2:99 Glory - Completion of the Grand Cathedral in Val Royeaux, and The Towers Age is named in honor of the city's towers. 3:00 Towers - (Estimate) Flemeth is born in Highever. 3:06 Towers - Death of King Caspar Pentaghast at the age of 127, after a reign of sixty years over the Nevarran people. 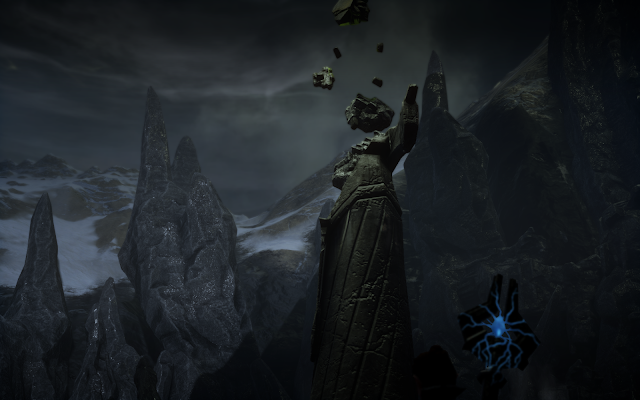 3:09 Towers - For the third time in the history of Thedas, the Right of Annulment is invoked in the Circle of Antiva. Hundreds of mages are executed. 3:10 Towers - Awakening of the Old God Toth. The Third Blight begins. Darkspawn attack Marnas Pell and Vyrantium, as well as Arlesans and Montsimmard. Grey Wardens manage to fight off the attacks. 3:18 Towers - Darkspawn attack cities across the Free Marches. 3:20 Towers - ~(Estimated) Flemeth marries Bann Conobar Elstan. 3:21 Towers - ~(Estimated) Flemeth receives word that Bann Conobar Elstan is dying and desires to see her again before death. She goes to him and is promptly imprisoned and Osen is slain. Flemeth uses magic (and perhaps Abomination) to kill Conobar. 3:25 Towers - Orlais and Tevinter armies join the Grey Wardens to battle the darkspawn in Hunter Fell, killing Toth and ending the Third Blight. Afterward, Orlais takes the city of Nevarra, and Tevinter takes Hunter Fell. 3:41 Towers - The Canticle of Silence is declared dissonant by Divine Amara I. 3:44 Towers - The 'Rebellion of Three Dragons' begins near Qarinus. 3:49 Towers - Hunter Fell rebels and breaks away from the Tevinter Imperium. 3:65 Towers - Nevarra rebels and achieves independence from Orlais. 3:86 Towers - Divine Joyous II becomes head of the Chantry. 3:87 Towers - Schism of the Chantry. Tevinter elects their own Divine, a male mage named Valhail, at the Minrathous Cathedral. 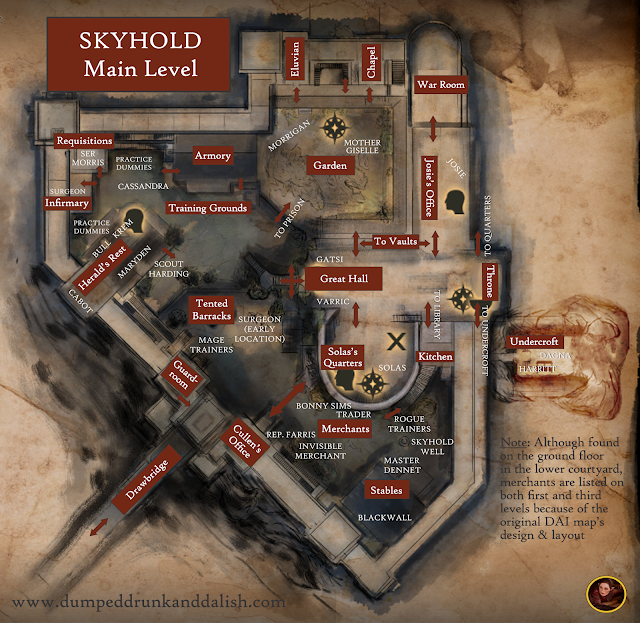 In Ferelden, the local Circle of Magi moves to Kinloch Hold after the razing of their original mage tower in Denerim. 3:99 Towers - The death of the Divine Joyous II in Val Royeaux. The Divine's death is celebrated in Minrathous and declared a holiday by the Imperial Divine. The Black Age is named as the Chantry calls for retribution against the "false Divine."